Semarang │UNIMUS (19/02/2019) Celebrating the 107th anniversary or Milad of Muhammadiyah, Universitas Muhammadiyah Semarang (Unimus) held National Tennis Tournament among Muhammadiyah Higher Education Institution (PTM) and Aisyiyah Higher Education Institution (PTA) in Indonesia on 18-29 February 2019. 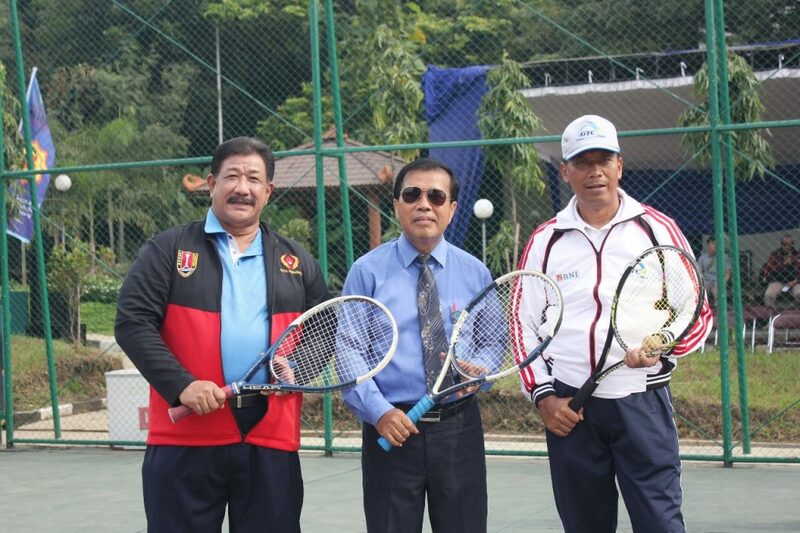 The match was held in tennis court of Unimus in Kedungmundu Semarang and was opened by the Mayor of Semarang that represented by the chairman of Youth and Sports Affairs Service of Semarang, Gurun Risyadmoko on Monday (18/02). In the previous day, Ahad (17/02) Mayor of Semarang, Hendrar Prihadi, S.E., M.M. attended Unimus’ invitation to gala dinner agenda and technical meeting. Hendi appreciated this event. This national Tennis Tournament will compete for winning Majelis Diktilitbang PP Muhammadiyah Cup, Semarang Mayor’s Cup, and Rector Cup. There were 10 intitutions registered to participate in this tournament, such as Universitas Muhammadiyah Malang (UMM), Universitas Ahmad Dahlan (UAD) Yogyakarta, Universitas Muhammadiyah Magelang, Universitas Muhammadiyah Surakarta (UMS), UM Purworejo, UM Makasar, UM Mataram, UM Sumut, UM Palembang dan Unimus. 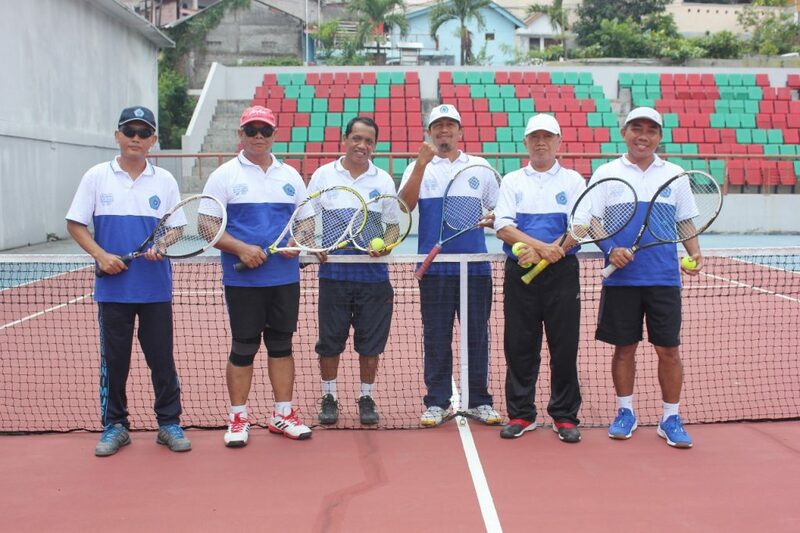 At least 58 participants sportively competed the match in men’s double match for 51 years old category, 41-50 years old category, and uncategorised age. 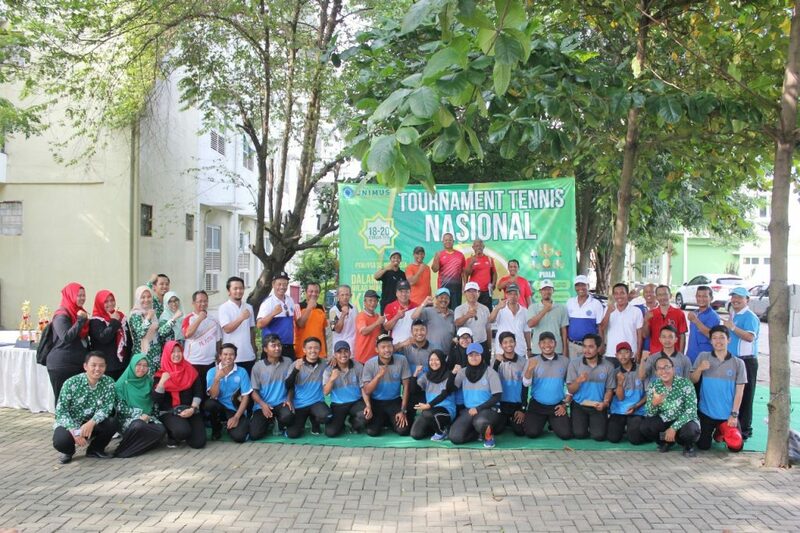 Prof. Masrukhi stated that this tournament was organised to celebrate 107th Milad of Muhammadiyah in order to encourage and return tennis to its trend among higher education institutions. “This tournament has been initiated long time ago and will be silaturahim medium among PTM/PTA through sports tournament. It is planned that this tennis tournament will be held biannually in the future. In 2019, Unimus becomes initiator of the host, and later will be conducted sequentially among PTM/PTA in Indonesia.” Explained Rector of Unimus. 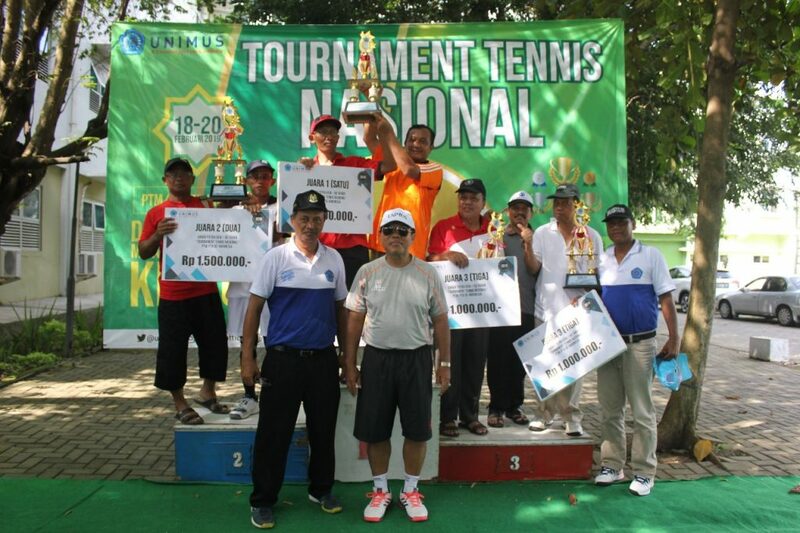 “Unimus had successfully held national tennis event twice so far. The first event was in 2017, we held Unimus Open to compete for Yayuk Basuki Cup, and this year, we held tennis tournament to win Majelis Diktilitbang PP Muhammadiyah Cup, Mayor Cup, and Rector Cup” ended Prof. Masrukhi. Gurun Risyadmoko that represented Mayor of Semarang appreciated Unimus’ effort in initiating national-scaled Tennis tournament. “Campus is the indicator of education success, that is why healthy and fit lecturers are needed to support the learning process. We do appreciate any sports and exercise activities,” he explained.